In 2017, A Flat Rock Playhouse Christmas broke box office records. The new 2018 production promises to be even bigger. Some 60 performers will sing and dance throughout the show. The two-hour performance opens on a street corner in fashionable New York City, segues into a soft set of bluegrass music and moves on to a Rockette-style dance number by Pat’s School of Dance in Hendersonville. 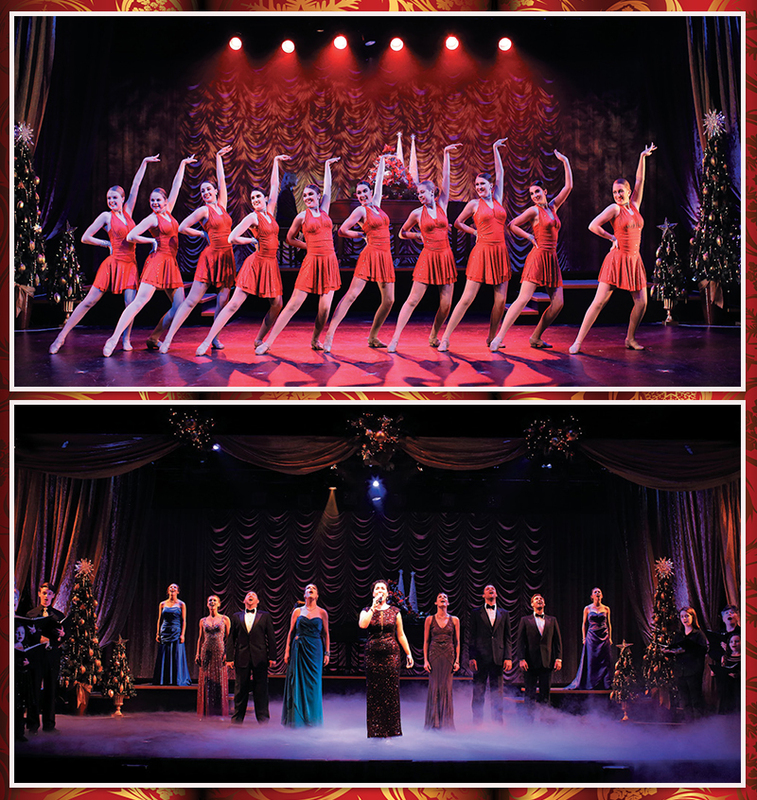 Performers in A Flat Rock Playhouse Christmas sing, dance, and bring cheer to the State Theater of North Carolina. The show is a family affair, top to bottom, featuring local children, the Flat Rock Playhouse Chorus, and, for various numbers, school choirs from Buncombe, Henderson, Polk, and Transylvania counties. In a hilarious side project, Flat Rock Playhouse is also performing Junie B. in Jingle Bells Batman Smells! at Flat Rock Playhouse Downtown in Hendersonville, December 6 to 16. The play, based on the best-selling book series by Barbara Park and directed by Olivia Palmer, is about a first-grader whose Christmas cheer is threatened when she draws the name of her nemesis for the school’s Secret Santa gift exchange. No matter which production you attend, expect to leave with a heart full of holiday cheer and a renewed sense of goodwill to all.